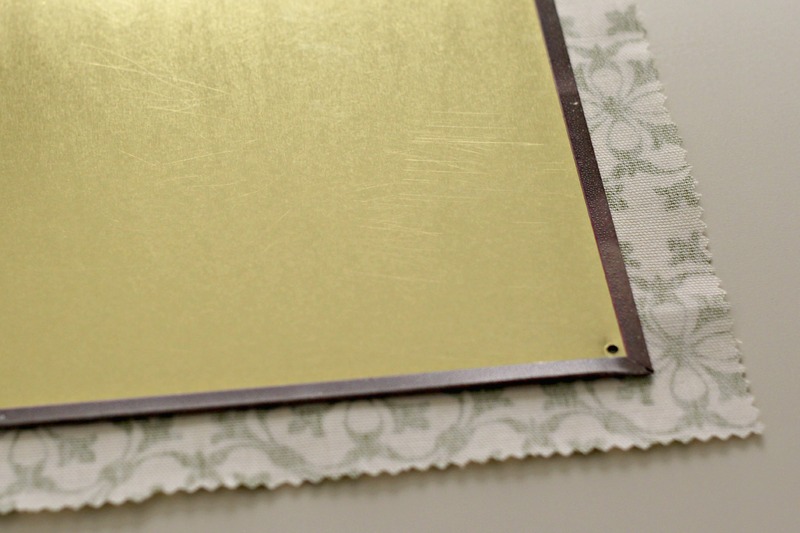 Make a simple Fabric Covered Magnetic Board using your favorite fabric and a metal sign. 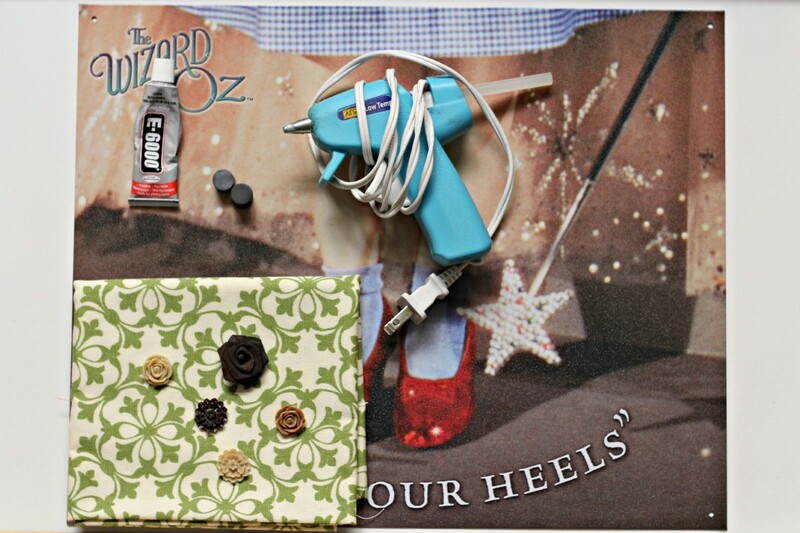 I will be sharing how to make this really easy and inexpensive Fabric Covered Magnetic Board. It makes a beautiful gift to give away or make a few and keep one for yourself. 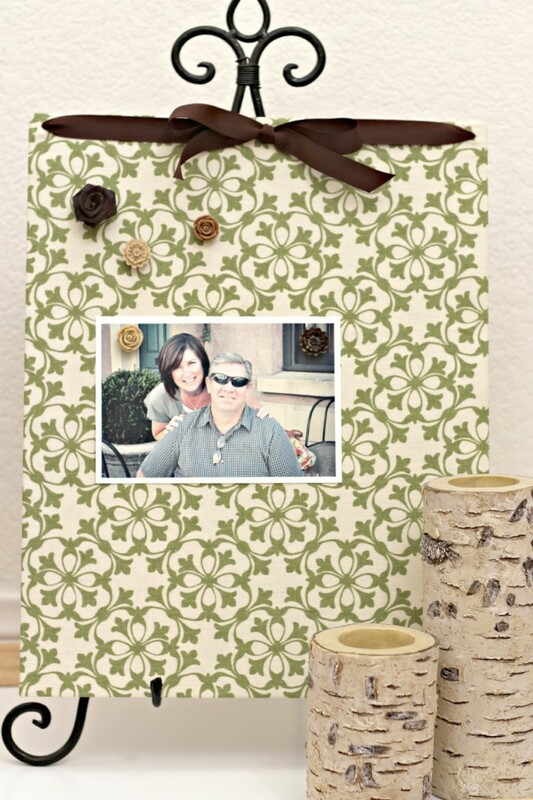 It’s a great addition to a family command center or make one for your kids rooms to display some of their favorite pictures and special papers. 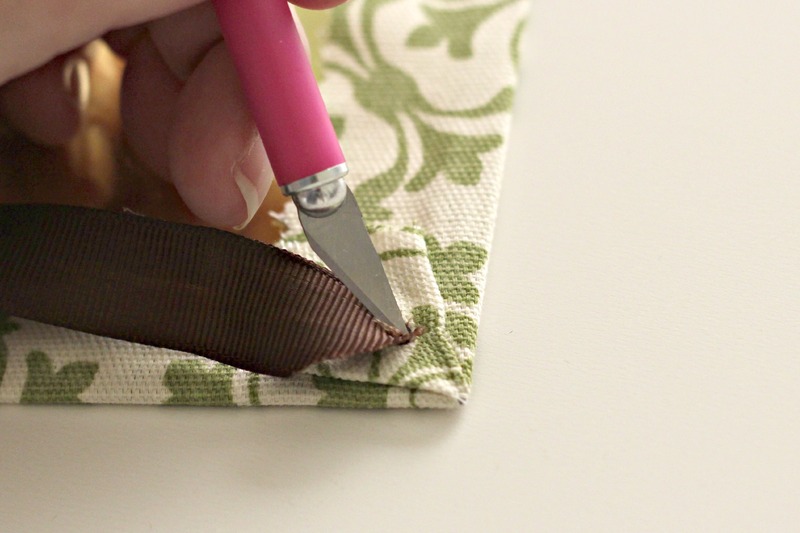 Start by making the magnets so they can dry while you’re making the magnetic board. 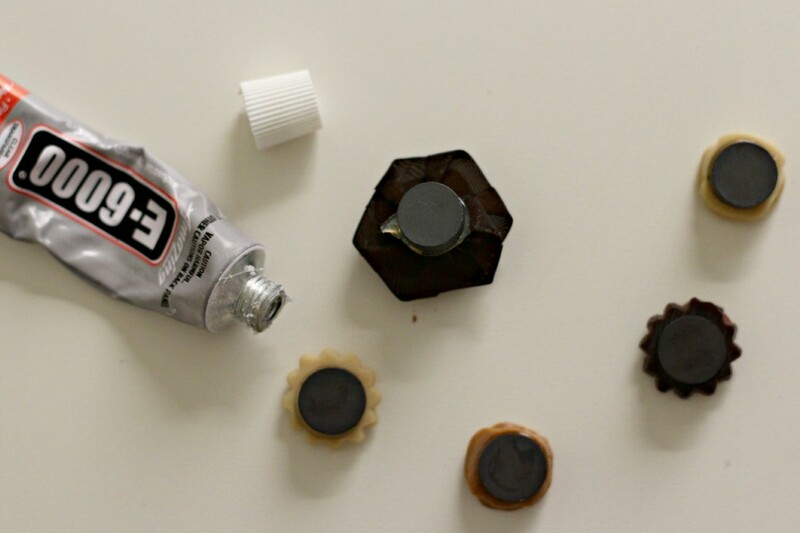 Glue the round magnets on the back of the buttons or trinkets using E6000 glue. Let dry for a few hours. More ideas for magnets: bottle caps, Lego pieces, corks, jewelry pieces, marbles, shells, rocks, flowers, succulents, small plastic animals, etc. 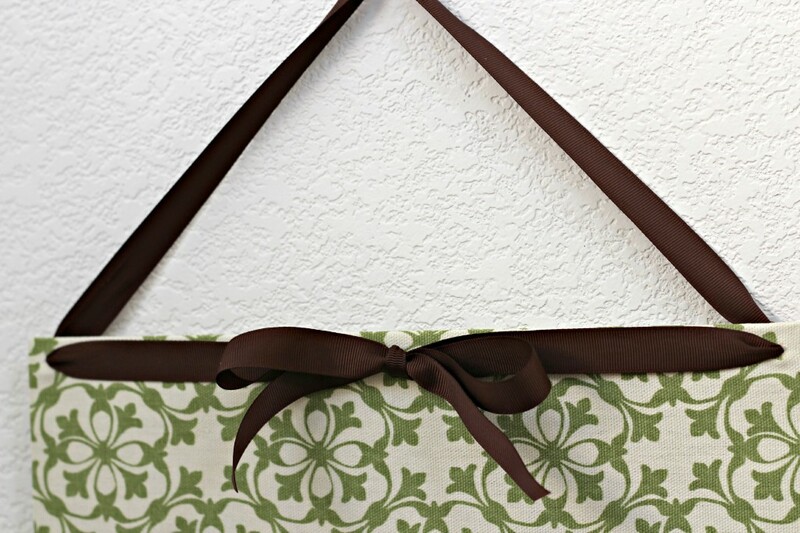 Place the magnetic board on top of the fabric with both pieces facing front side down. Cut the fabric an inch larger all the way around. I used pinking shears to avoid fraying. 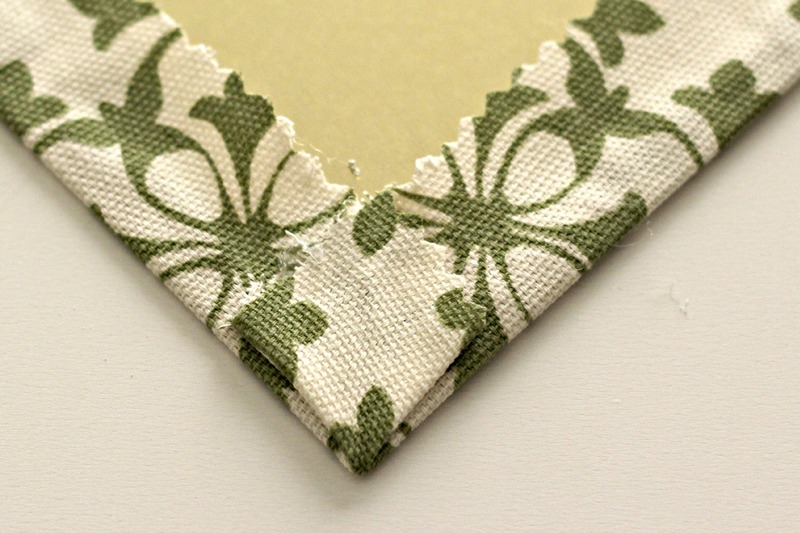 Fold fabric over to the back of the board and hot glue in place. Pull fabric tight so it’s smooth across the board. 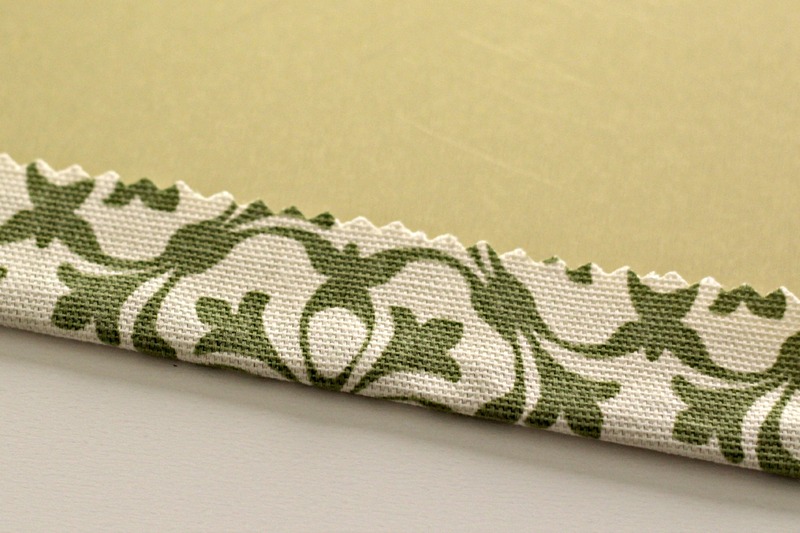 Bring the fabric in the corner together as shown below. Then flatten and glue into place. The corners turn out nice and not bulky. There are usually holes in the corners of the board for hanging purposes so I just found the hole and poked the ribbon through with a small craft knife. It can take a bit of time, so be patient. 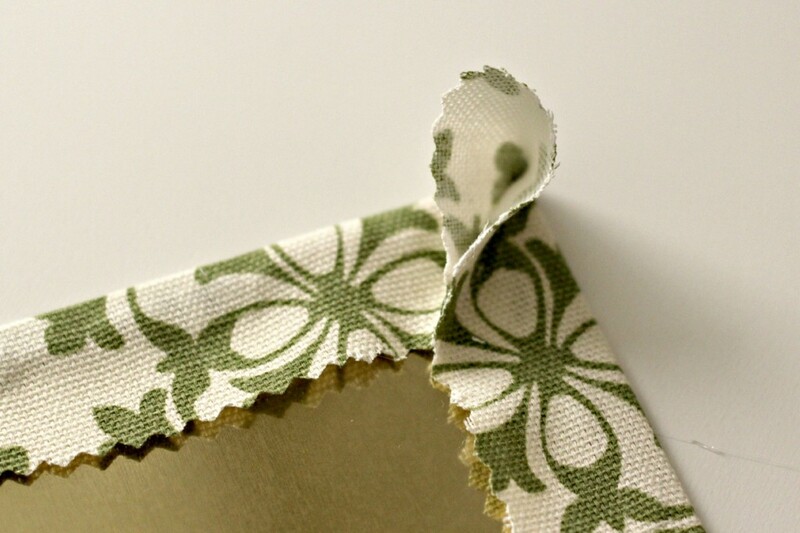 Once the ribbon is through, make the sides even and tie a bow on the front of the board. You can custom tailor the board for anyone just by changing the fabric, ribbon, and magnets. 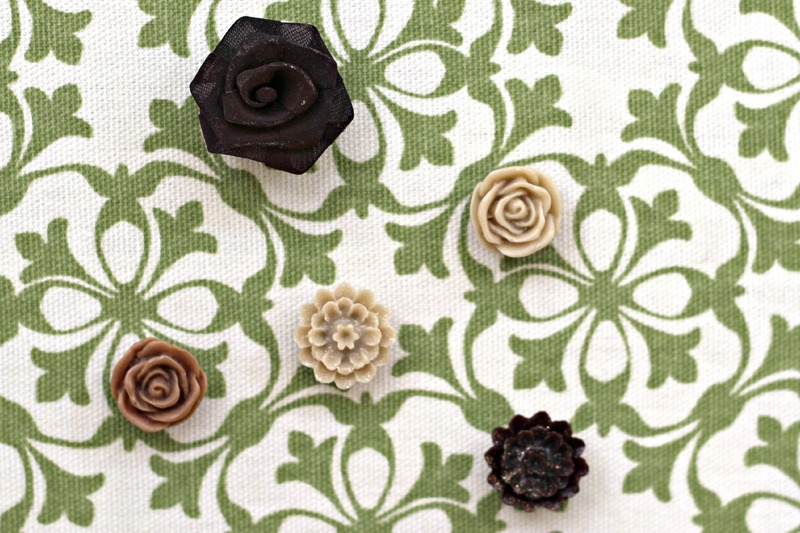 Here are the awesome resin flower magnets to go with the fabric board. 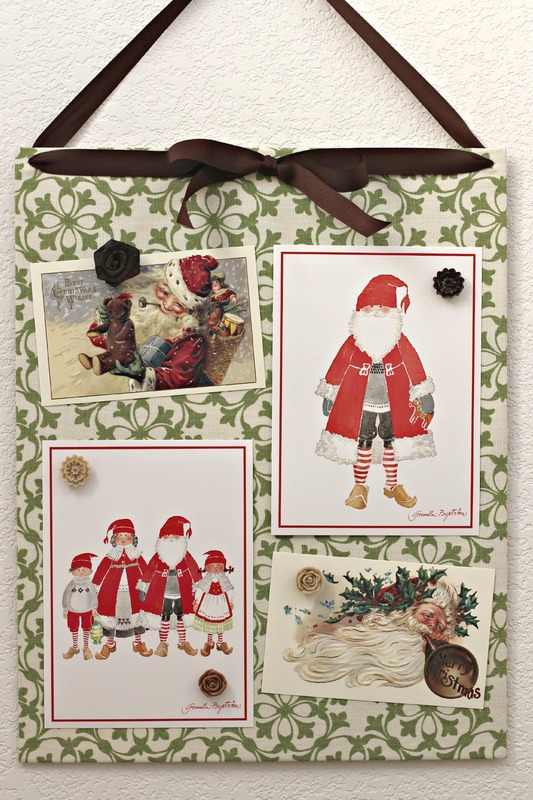 You can use it for notes, pictures, cards, calendars, menus, or whatever you can think of. It can be hung on the wall. Or placed on an easel. I like the look of both options depending on the room or space I’m using it in. I think I’m going to make a few more for quick gifts. Just to add a few things, I love magnet boards because I love making cute magnets. I’ve never seen one for sale a good price (No large available craft stores) so I’ve bought sheet metal but my most recent one is just a cookie sheet. Yup, wandered around the Dollar Tree with a magnet to make sure it would work. Secondly, cheap magnets may not be strong enough. Those cheap stick-on magnets don’t hold very well with fabric sometimes. Also the heavier the decoration, the stronger magnet you need. Your board is delightful! 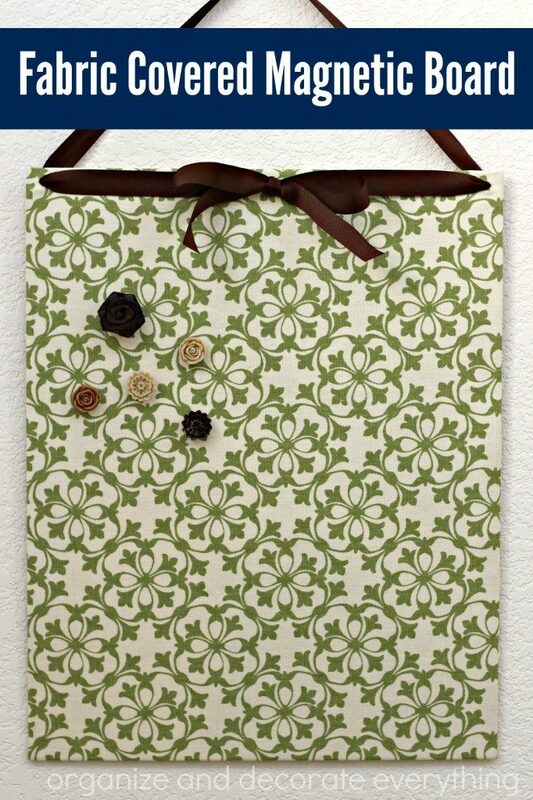 I like the little roses, I have some fabric ones left over from another project I’m going to use. My kids produce art like nobody’s business and we want to show them support but we also want the walls of our house to not be covered completely with drawings. What we have found that works is that we have a box where they put all their new art and then about twice a month we scan it all into the computer. Then we have their favorites rotate on our TV when it is not “in use”. I know this is not really what your post was about, but it is what it made me think about. Haha. Thanks for a good idea.